Knowing when to leave your kids at a birthday party isn’t always black and white. For you, it may be scary. For the other parents, it may be stressful. While every situation and every child is different, there are a few tips and tricks you can follow to determine whether or not your child is ready to be a one-man-team at the next birthday party. If you can’t see yourself being able to handle a group of wild toddlers on your own, don’t expect another parent to do that either. Toddlers should probably not be left unattended by their parents at parties until they are a bit older, so plan on accompanying your toddler to birthday events for a little while longer. Generally, a good rule of thumb is that children under 5 years old should be accompanied by their parents. An exception to this might be if the party is being held at a venue that provides additional supervision, but make sure to clarify. Host parents would rather be asked than have you assume. Some children mature quicker than others. While some parents may not feel comfortable leaving their child at a party without them until age 8 or 9, some kids are ready at 5. Figure out your child’s weak areas and determine if these weaknesses will affect their ability to handle themselves on their own. Before leaving, show your child who to talk to if he needs help. Also, make sure he knows where the bathrooms are. Stay until your child seems to be more comfortable with his surroundings. Failure to do these things before you leave will create a lot more unnecessary work for the other parents at the party and it may stress your child out. If you have decided to leave your child at the birthday party, you will want to ask the host parents in advance when to come back for pick up. Make sure to swap phone numbers with any host parents and other supervising adults in case they need to contact you for an emergency or to change the pick up time. This will also give you a way to reach your child should you need to. If your child does want to leave early, or is acting anxious, clingy, or is having tantrums which signals he should leave early, don’t feel bad. It’s usually just a result of overstimulation, present envy, and a huge sugar rush. You can always swing by, if possible, and take your child aside until he calms down. This gives the parents a break, while still giving your child what he needs without ruining anyone’s day. If the tantrum still reigns, bow out gracefully. No one will hold it against you. How well do you know the host family? Is your child used to their home? Or is the party being held in a public place? Is it a safe place for children? What is your child’s maturity level? Is your child comfortable with you leaving? Are you comfortable leaving your child? If you have other children, is it feasible or wise to bring them along? So you’ve decided to let your child spread his wings. Good for you! That’s a big step for both of you. But one more thing you need to do before that day comes, make sure to sit down with your child to talk about what is expected of them at this party when they are without you. Talk about things like stranger danger, manners, patience, pick up times, who is in charge, etc. Prepare them to be without you, but don’t bombard them with too many rules. It is a birthday party, after all. Your child may be ready to leave you before you are ready to leave them. If it is strictly an issue of letting go, try to bite the bullet. Teaching them about independence early on is a valuable lesson for them. Ultimately, it is up to you to use your best judgement for each unique situation. No one knows your child like you do. And no one knows whether your child is ready for this big social step better than you do. So just do your best and forget the rest. 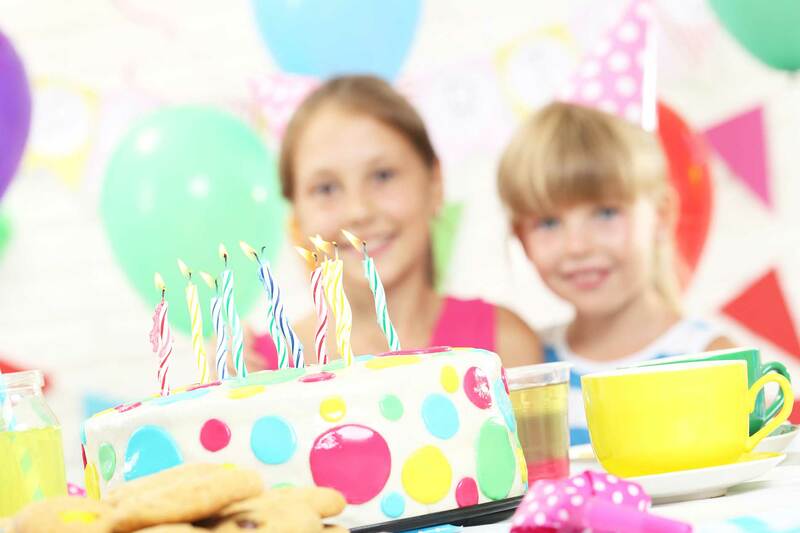 Looking for more tips on kids birthday party etiquette? We have an entire section on it. Nice informative post. Really liked it. Etiquette you mentioned above are really good and must be follow by all parents to co-operate with the party host. Thanks for sharing! Awesome Blog! This is a very informative blog. Thanks for sharing Greg…!